Walrus Pic of the Day: The Perfect Gift? It’s the perfect gift(?) 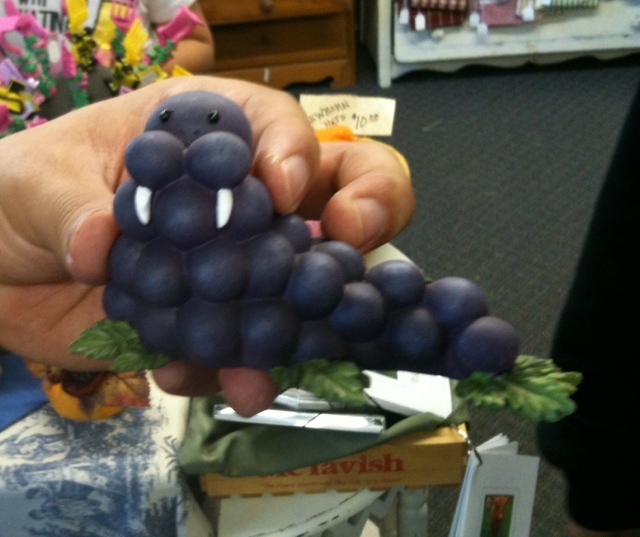 for the wine-loving walrus enthusiast… In keeping with the odd associations theme, this was found in a Christmas shop at a pumpkin patch.. Yay for mash-ups. The Arctic Building is a nine story building in Seattle, Washington located at the Northeast corner of Third Avenue and Cherry Street. The building was built for the Arctic Club in 1916 and was occupied by them from construction until the club’s dissolution in 1971. It is entirely faced with cream white terra cotta with submarine blue and orange-brown accents. It is particularly noted for the terra cotta walrus-heads lining the third floor of the building. Here’s the link to the full Wikipedia entry. The Arctic Club building is on the national register of historic places, and if you want the full info about this interesting structure, check out the Arctic Club page at the National Park Service’s Site, here. The Arctic Club was founded by veterans of the Klondike gold rush and members were those with Klondike or Alaskan connections. The building itself though is much older, and was once a theater. According to the blog I’m linking to in the next paragraph, the tusks on the walrus sculptures may have once been actual ivory, although this may be an urban legend. I love these types of decorative accents you find in city architecture. Next time you spend a day in Seattle, go on a walrus hunt!